Netflix's new series The Get Down is poised to give the rich and complicated history of hip hop the respect it so deserves. The series will tell the story of a group of teens living in the Bronx in the '70s who dream of making it in the music industry and all of the challenges and threats they face. One of the biggest threats in The Get Down is the Savage Warlords, a gang that isn't real, but is similar to reports of real gangs that existed in the Bronx at that time. Instead of choosing the name of a real gang that walked the streets of New York City, The Get Down has created an original gang with its own fictional iconography, but that doesn't mean it's not realistic. There were real gangs who used names similar to the Savage Warlords, adding an authenticity to even the title. There were gangs in New York that went by monikers like the Savage Skulls and the Savage Nomads, and the leaders of gangs were often called warlords. As described in The New York Daily News, a "warlord" was a violent, instigating position that real Bronx gangs, led by Ghetto Brothers' Benjamin Melendez, ultimately gave up in order to promote peace between gangs. The documentary 80 Blocks from Tiffany's, which is on YouTube in full, puts into perspective how exactly the real gangs of the Bronx in the 1970s looked and behaved. 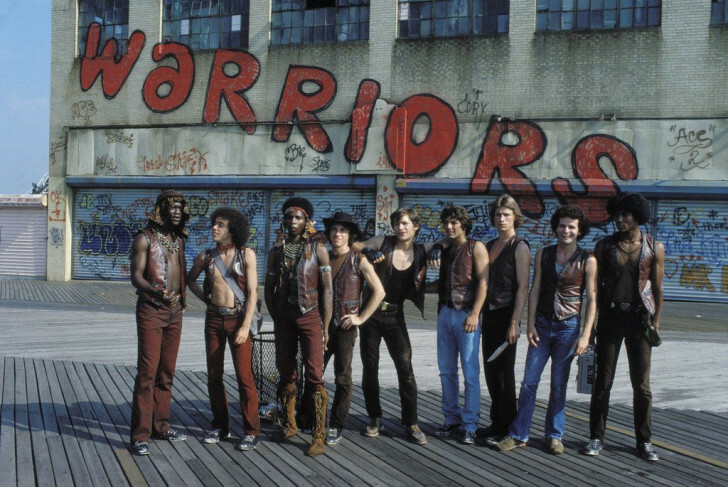 It turns out, those distinctive vests from The Warriors , which resemble the uniforms worn by the Savage Warlords in The Get Down, were based on the real clothes gang members wore. Jackets emblazoned with the name of the gang were a must-have, and each gang had its own unique insignia. On the show, the Savage Warlords will be controlled by Annie, who also owns Les Inferno, the disco club where the characters try to break into the music industry. In real life, gangs were also intertwined with the establishment of hip hop, which the 2015 documentary Rubble Kings explores. If you're more curious about the actual history of real gangs in the Bronx, Rubble Kings is a great choice (it's even on Netflix, so it's just a click away from your Get Down marathon). But The Get Down is not going for complete historical fidelity. Instead, it's using the fictionalized Savage Warlords to craft a gripping story about teens who pursued their musical dreams in one of the toughest eras in New York's history.